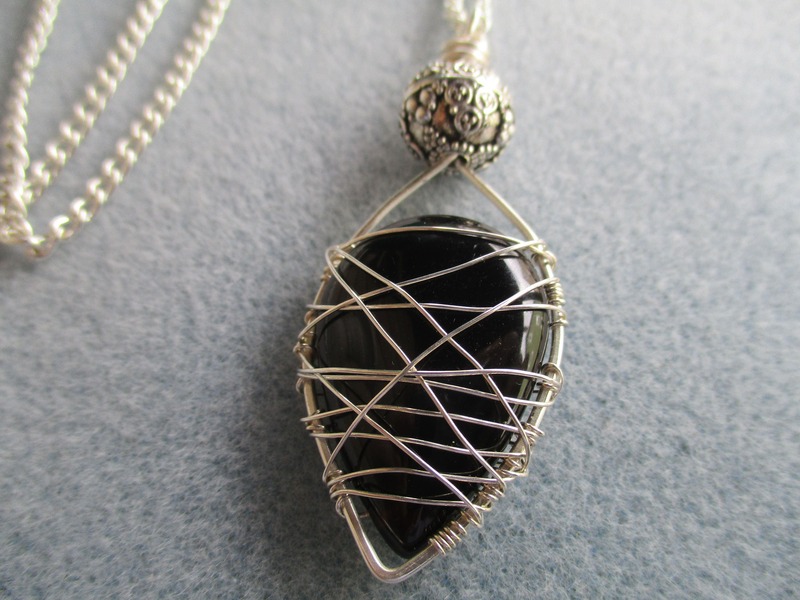 The freestyle wrap on the cage shows off this black onyx teardrop very nicely. 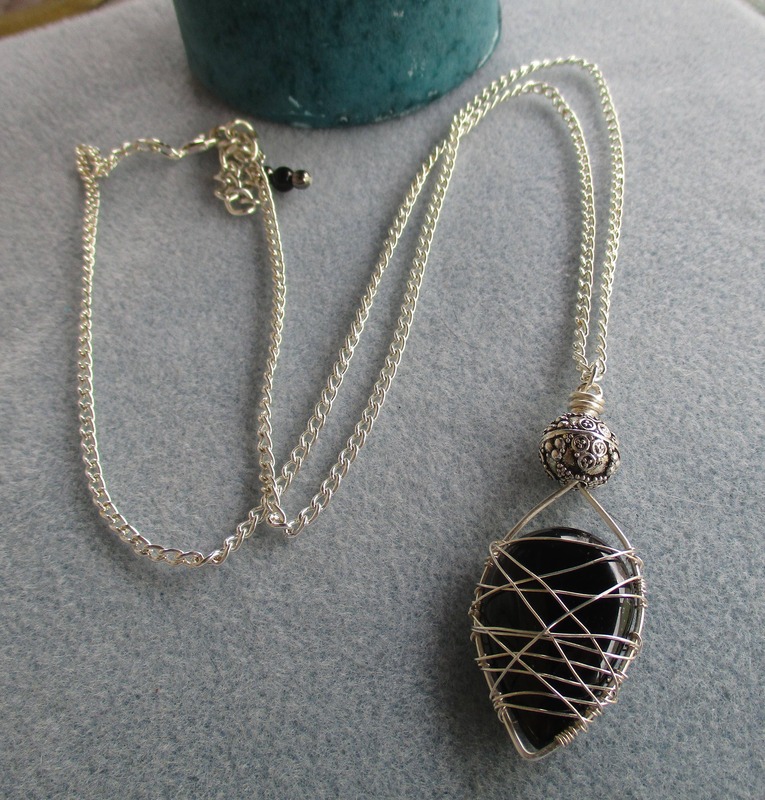 Included is a 32mm x 19mm (1 1/4" x 3/4") black onyx teardrop pendant and a 10mm (3/8") decorative antique silver plated bead. 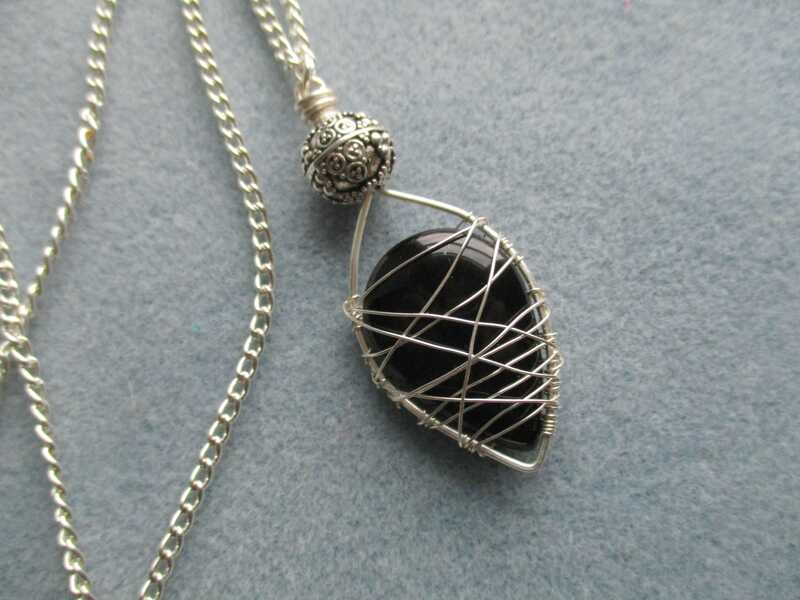 The wire used for wrapping the cage is a silver plated anti-tarnish artistic wire. 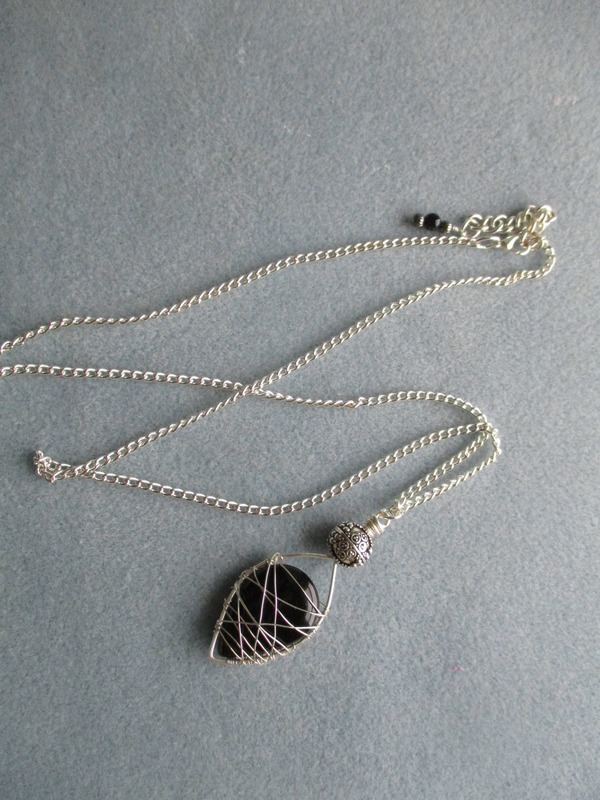 Chain and clasp are silver plated.